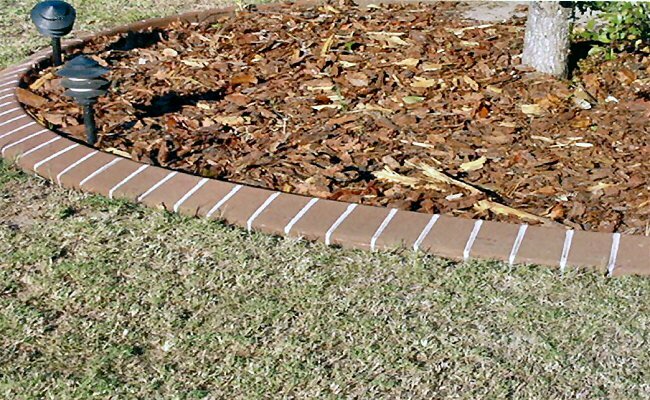 Unique process allows a continuous curb to be installed to the curves and contours of your landscape beds without the use of messy forms and without disturbing existing plants. Easy maintenance. 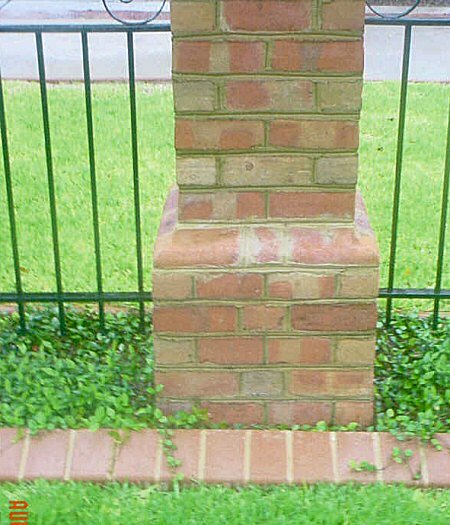 Mower style curbing allows trimming to the lawn's edge while mowing. 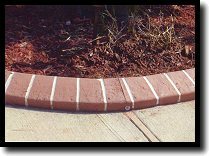 The curbing is a mixture of portland cement, sand, and fiber mesh for added strength. 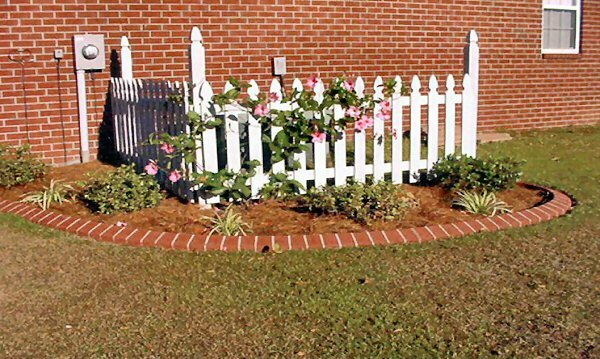 Creates a neat "eye-catching" look while adding value to your property. 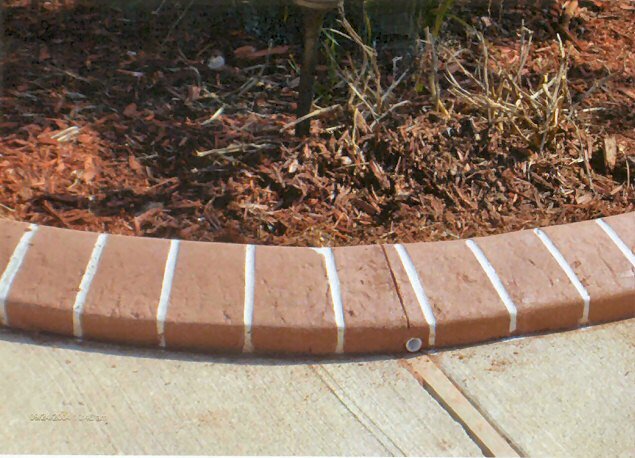 Curbing can be colored to accent brick, stucco, or siding.